Training Times: Thursday 8:00pm to 10:00pm (Minimum Age 16). You do not need to be fit to start Aikido but in learning this martial art you will soon begin to improve your fitness, We have both men and women from the ages of 18 to 70+ training and enjoying ourselves at this friendly local club. Price: £8 per session. Chingford & Woodford Green Aikido Club, Woodford County High Schools for Girls, High Road, Woodford Green, IG8 9LA. Orion Harriers, Chingford’s local running club, is pleased to announce that following the success of the pilot new beginners walk/run sessions launched in September 2010 it is planning to launch a new series of sessions. Sessions are aimed at beginners, with initial empasis on improving walking techniques then hopefully progressing on to running. For those of you who already run a little bit and want to improve please come along too as we can accommodate you also. Sessions will be run by qualified UKA coaches/Leaders in Running Fitness. Cost will be £3 per session. For more information please contact either Chris Finney on 07748 236422 or Elaine Barrett on 07813 608589. 1st, 3rd & 5th Tuesday in each month, 2 p.m. to 3 p.m. at St Edmund’s Parish Church, Larkswood Road, South Chingford, London E4 9DS (south of Chingford Mount crossroads). Opportunity for those who have lost someone special to meet and chat or to be quiet; refreshments served. Open to all irrespective of background, belief or lifestyle. Women’s Morris Dancing, Wednesdays 8pm – 10pm. St Gabriel’s Family Centre, Havant Road (off Wood Street) Walthamstow E17 3JF. Blackhorse and Standard Women’s Morris dancers welcome new female members to our weekly practices. A fun and friendly way of keeping fit whilst learning traditional English Morris dancing. No experience necessary, just come along and have a go. Musicians (male or female) also welcome. First term free to new members. See www.blackhorseandstandard.org.uk or ring 020 8527 2926 or 020 8514 8771 for further information. Chingford Green Short Mat Bowls Club. We meet in the Waltham Forest Sea Scouts Unit, 10-12 am. Wednesday morning. 48 Kings Road Chingford E4 7HR. No annual fee. Pay as you play. £3 Per. Session. Beginners welcome . We can provide the bowls. Please wear flat shoes. How to find us:The unit is situated in front of the Recycling Centre on Kings Road which is between the bottom of Friday Hill, Chingford and the railway bridge. For further details contact 0208 529 7328 or just come along. We need donations of unwanted gifts as well as Bric-a-Brac. We are a small self funding Therapy Centre for people with Multiple Sclerosis. 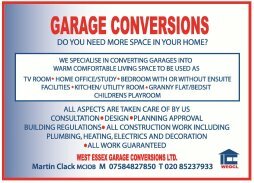 Ms Action, Unit 17, Waltham Park Way, Billet Road, Walthamstow, E17 5DU. Phone No: 020 8531 9216. We meet September to July, every 2nd Thursday of the month at 7.30 p.m. in the front hall at Chingford United Reformed Church, Buxton Road, North Chingford. All levels of ability, occasional Saturday workshops, ongoing project on The Seasons. Tuition always available, Patrick and Gill Harison. 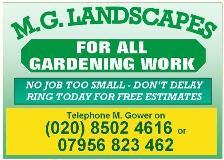 Come and see what we do, or for further details please phone Pam 020 8529 3094. Reg Charity No. 303263 Tom Oakman Centre, 6a Weale Road (off Friday Hill West), Friday Hill, North Chingford, E4 6JL. The Chingford Community Association (CCA) was established in 1940 and exists to provide facilities for the benefit of the residents of Chingford and neighbours and to establish, manage and maintain a Community Centre to further that objective. We are currently looking for new clubs and classes to join us. We have several rooms for hire at attractive rates. The Tom Oakman Centre is warm, well lit, has access for wheelchairs, and its own car park. The nearest bus routes are 212 and 397. Activities using the Tom Oakman Centre at the moment are: Silverthorn Radio Club, Arts Club, Scribes and Artists, Handicrafts Club, Chingford and Walthamstow Chess Club, Forest Sequence Dance Club, Chingford Photographic Society, Beekeeping, Yoga Classes. All the above groups are run by individual members and would welcome new members. If you need meeting space for a club, new or existing, or would like further information on present activities, please contact Peter on 020 8531 8098. Tuesdays, 8.00-10.00pm. Mornington Hall, off The Green Walk E4 7EN. Dance styles include Playford, Country, Contra and American. Beginners are welcome. There is no need for a partner. £2 per session, refreshments included. For more information, phone 020 8508 4770 or 020 8529 0229. Country Dancing for all tastes; beginners welcome. Meets every Tuesday 8:00pm – 10:00pm at Mornington Hall, Green Walk, E4. For full details phone Arnold on 020 8529 6730. Top of Chingford Mount. Why not come and look around one of Chingford’s oldest churches which actually dates back to the 12th Century? The church will be open every Saturday morning throughout the year from 10 am to 12 noon. There will be someone on hand to show you around if you wish or you can browse on your own or just rest! Traditional robed choir of boys and men singing cathedral-style choral repertoire at the weekly Sunday services in Chingford Parish Church, and also frequent visits to sing in cathedrals all over England and sometimes abroad. Wonderful opportunity and experience for boys aged 8 and over – also teenagers and adult men with some singing / music reading experience who sing alto, tenor or bass. (Our choirmen sing with an alternating ‘top line’ of either our boy choristers or the Girls’ Choir). New members always welcome! Chingford Parish Church Girls’ Choir also welcomes girls aged 8 – 18, offering the same opportunities as for our boy choristers shown above. The Chingford Singers: an adult choir performing regularly at concerts and special musical events at the Parish Church and elsewhere. New sopranos and altos always welcome. To find out about joining, or for more information on the above, contact the Director of Music: email mike@parishofchingford.org.uk or phone 020 8529 6092. We are a local voluntary pet rescue charity that is in desperate need of support. We need pet accessories, bric ‘a’ brac, blankets, towels and food donations to help us deal with the volume of animals that are being handed in to us. We are also looking for people to assist in fostering animals when they come to us. If you are thinking about buying a pet please phone us first as we have dogs and cats that are abandoned and need loving homes. We can collect any donations or you can drop them off to a local address. Phone Maria and Ruth: 07955 010 695, 07902 542 952, 020 8524 8894. Email little_darlings_rescue@hotmail.com. 1st XV are Essex’s & North London’s most successful amateur Rugby Club & over the last 3 seasons Chingford have come third in London North 2, narrowly missing promotion on each occasion. Chingford run 3 Senior teams on a regular basis, and occasionally put out a 4th XV. Our Senior teams train every Tuesday & Thursday evening starting at 7.30pm, and play games on Saturday afternoons. For more details contact Phil Howell 1st XV Manager tel 07768 236 913, e-mail ph@cdlfm.com or call into Chingford Rugby Club in Lea Valley Playing Fields, Waltham Way, Chingford, E4 8AQ. We have a very strong Junior Section with teams running from Under 7’s through to Under 19’s, with last years Under 16’s being Essex Cup Winners. Training days vary between each age group, with teams training on Sunday mornings and all matches are also played on Sunday mornings. Meet new and old friends at Coffee and Chat 9.30 a.m. – 12 noon, every Friday. Midday lunches at reasonable prices at our Lunch Club 12 noon on the last Wednesday of each month. Call 020 8524 2491 for further information. Halls to ‘Let’ (no children’s parties) phone 020 8529 6141. Learn to Square Dance! Beginners Course (1st.night free). Thurs 8-10pm, St. Andrew’s Church Hall, St. Andrews Road, Walthamstow, E17 6AR. United Reformed Church, Buxton Road, Chingford. Come and join us every Friday from 9.45 a.m. to 12 noon. King’s Road Baptist Church, Chingford. As a group of people that seek to live out the life of Christ in our community, we have started a coffee morning in the church hall. Following the door2door surveys which we have been doing over the last few weeks, you have suggested that a place to meet and chat plus for some, the opportunity to play table tennis, would be appreciated! So every other Thursday from 10.30am to 12.30pm, there will be a warm welcome for anyone to come along, and at no cost! Now that seems a good deal! If there is anything that we can pray for please let us know. are a friendly musical society based at Waltham Forest College. We are looking for new members. Rehearsals are held on Tuesdays and Thursdays from 7.30 to 10 pm. If you enjoy singing and/or dancing, please contact Doreen on 020 8539 9474, e-mail damedoreen@yahoo.co.uk for full details or visit www.collegeoperatic.co.uk. COULD YOU SAVE SOMEONE’S LIFE AT SEA? No? but you could help to raise funds in Chingford to support the wonderful work of the R.N.L.I. (Royal National Lifeboat Institution). How? by offering to collect for an hour or two, once or twice a year, outside local supermarkets. Please ring : (020) 8529 3962 for more details. Thank you. every Sunday during term time 4-5pm Sewardstone Church E4 7PA (opposite Epping Way). All workers are police checked. Bus pick up from stops around Chingford (see website for locations). Children play games, win sweets and prizes and learn about God. Call Nick for further information/queries 07973 462 741, website www.kidzklubchingford.co.uk or find Kidz Klub Chingford on Facebook. A conservation group which meets every 2nd Sunday of each month at 11.00a.m. at Larkswood Playing Field (Normanshire Drive entrance). Ring Pam on 8524 5794 for more information. Mornington Hall in North Chingford. For some daytime hire. Ideal for keep fit or educational classes or similar. 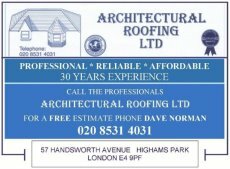 Contact Steve, 020 8524 1488. Very reasonable rates. Friday Hill area. Own car park. Suitable for local clubs and societies. 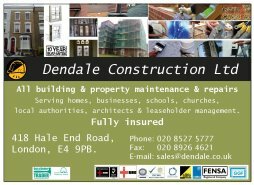 Contact Peter – Chingford Community Association 020 8531 8098. We are a community based Pre-school just relocated to Highams Park Baptist Church, Cavendish Road, Highams Park, E4 9NG (we were previously based at the United Reformed Church, Malvern Avenue, Highams Park). We are open on Monday, Tuesday, Wednesday, Thursday and Friday from 9.00 am to Noon. For children 3 and over the Pre-school is free as they are funded by the Local Authority. Children under 3 pay a fee per session of £14.00. We do also offer limited funded 2 year old places. 020 8524 4777, between 8am and 11pm, MON to FRIDAY Transport to hospital, clinics etc, home help, shopping, DIY, etc, befriending, listening, and supporting, plus other services. Help on Call is a community service that fills a gap in local borough services. If you would like assistance, please call us. If you can volunteer time or expertise, please let us know. Our service is entirely non-denominational. Everyone is welcome. CHINGFORD CHRISTIAN CARE Chingford Christian Care has been offering assistance to local people since 1978. EST.1912. Worcester Road, Higham Hill, Blackhorse Lane, Walthamstow E17. New and experienced members required. Keep fit and active and find a new social life to enjoy. 7 days a week from noon to dusk. For new bowlers we will provide tuition and equipment. For more info: JOHN EDLER on 020 8529 6637. We meet at Highams Park URC, Malvern Ave (off Hale End Rd), Highams Park, E4 on Tuesdays from 7pm to 8pm. Cost per lesson £4.50. This is an established class but all levels are welcome, for more details call Mandy on 01992 524 681 or 07976 786 404. For under fives on Thursdays 10.30 -12.00, cost of £2.00 at South Chingford Congregational Church, 161 Chingford Mount Road, E4 8LT. For further information contact 07919 430 043. Every Wednesday (term-times and halfterm), 10 a.m. to 11.15 a.m., at St Edmund’s Parish Church, Larkswood Road, South Chingford, London E4 9DS (south of Chingford Mount crossroads). Messy Church for children under 5 and their parents/carers – for those who like fun, games, songs and stories. Have you lost someone special? Do you feel the need to get out and meet with others? At 2pm on every first and third Tuesday in the month, Saint Edmund’s Parish Church, Larkswood Road, South Chingford, is open for an hour, serving teas and coffees, and providing a space for those living with bereavement. We are not offering counselling or easy answers, but just an opportunity for you to chat with others or to be quiet with your thoughts and memories. Open to all, irrespective of background, belief or lifestyle. Contact number 8524 4386. Loosends welcomes new members who would like to meet new friends and enhance their social lives. Our members enjoy a variety of events each month with ideas from the committee and members. Join us at our club night on the last Friday of each month at the Old Hall Tavern (Hall Lane Chingford E4 8EY). All welcome, Loosends was established in 1986. Please telephone 07752 102 620. LUPUS UK is the only national charity supporting people with systemic lupus, discoid lupus and those approaching diagnosis. The Romford support group meets on the second Sunday of each month for a social chat and to share experiences and tips for coping with lupus. at St. Annes Church Centre, 200 Larkshall Road, Chingford, E4 6NP. First Saturday every month (from January to October), 10am to 11.30am. All proceeds to charities – Mildmay Mission, The Margaret Centre, Haven House. are looking for more ladies to join our small, friendly group. We meet on the 4th Monday of every month from 2-4pm at the Methodist Church Hall, Station Rd E4. Other activities include a monthly outing, lunch club and Scrabble afternoon. For more information call Elaine Light on 020 8529 1525 – or just come along! we meet on the third Thursday of the month at the Old Hall Tavern, Hall Lane, E4. We are a very friendly and supportive group of musicians and audience so come on down and do your thing. Free entry and use of PA. starts at 8 pm. South West Essex Choir is an SATB choir with about 100 members. We meet on Tuesdays from 7.45-10pm in the Methodist Church, High Road, Loughton, Essex IG10 1RB (a 10 minute walk from Loughton Central Line Station and on bus routes 20, 167). New members are always welcome. You must be able to sing but no audition is necessary. We give three to four concerts a year in venues throughout West Essex, conducted by musical director James Sherlock, who recently made his Carnegie Hall debut. See www.southwestessexchoir.org.uk or phone membership secretary Mary McElarney on 01992 812606. 113 Hawkswood Crescent Chingford E4 7UH Where children learn in a happy, safe, carefree environment. Fully qualified staff, good Ofsted report, PSLA Accredited. Places available for children from 2yrs to rising 5s’. 3-5yr olds free! Children under 3 £7 per session. Lunch club available £3 (you provide lunch). For more information telephone: 020 8529 3252 or 07828 413874. Registered charity number 1026889. We are looking for new members and helpers to come along. We are a friendly group which meets fortnightly on Monday evenings at The Methodist Church in New Road, Chingford. Speakers, members evenings and trips out in our vehicles. Phone Brenda on 020 8524 3938 for more information. If you are interested in finding out more about the clubs aims and activities please contact our secretary, Mr Leslie Stowe: 020 8524 5434.
is a Charter Standard Youth Family Football Club based at Wadham Lodge, Kitchener Road, Walthamstow, London E17 4JP. We are just off the Billet Roundabout. We have teams from Under 7 to Under 16 and play in Sunday Leagues. We offer football training sessions on Wednesday evenings. We welcome both boys and girls of all abilities. Wadham is a non-profit making club and all our coaches are FA qualified and CRB checked. For more details see our website www.clubwebsite.co.uk/wadham or contact Paula 07980 347772. The Waltham Forest Probus Club is just one of the many Probus Clubs that are established in 23 countries around the World from Argentina to Zimbabwe. There are nearly 1,700 Clubs in the U.K. and the basic purpose of a Probus Club is to provide regular gatherings of persons who, in retirement, appreciate and value meeting others in similar circumstances and of a similar level of interest. We meet at The Royal Forest Hotel Chingford on the 3rd Monday of each month for lunch followed by an interesting talk from a speaker. All retired gentleman will be most welcome. For further details please contact Richard Meredith on 020 8524 0463. Friendly club welcomes new members for film making, set building etc. Give it a try you’ll probably get hooked! (Reg Charity No 10312235) The Ridgeway Park Children’s Centre, 82 Peel Close, Chingford E4. Qualified experienced staff offer fun and learning for 2 – 5 yr olds in a safe purpose built environment with an excellent garden. Good Ofsted report. Open 9.15 – 11.45am daily during term times. £7.75 per session for under 3s. To visit or be placed on the waiting list call Debbie on 07904 060 338. Yoga 4 birth offers: Yoga for pregnancy & birth, Baby Massage, Doula support, Yoga for small groups, Birth Preparation for couples 2-1 sessions. www.yoga4birth.co.uk info@yoga4birth.co.uk 07976 903 003. Craniosacral Therapist working in WALTHAMSTOW E17. Craniosacral is available for pregnant women, babies and the whole family. Contact Arlene 07976 903 003.